Pioneers in the industry, we offer industrial batch ovens and batch furnaces from India. Our firm has gained continuous appreciation as the prime organization offering of Industrial Batch Ovens. The offered ovens are appreciated for captivating look and alluring pattern. 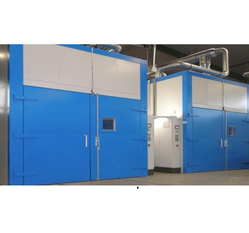 Also, the oven is widely used in several industrial applications. The adequate size and better performance of the ovens are appreciated frequently. The stainless steel robust body, easy to understand panel and microcomputer digital system keeps the temperature under controlled and managed. Clients can also opt for custom deck according to their requirements. We are able to gain immense expertise in delivering Batch Furnaces at clients' premises. 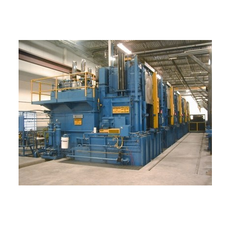 The offered range of batch furnaces is available in different customized specifications and forms as per the diverse requirements of valued clients. Along with this, the offered range of batch furnaces is suitably tested to maintain its authenticity throughout the designing process.